Entrepreneurs can prove out quite a bit with little to no capital. Capital doesn’t make funded founders any more insightful than their bootstrapped brethren. If someone can’t creatively turn $1 into $10, Why would you expect them to be able to turn $1M into $10M? Many of these companies have subsequently earned billion-dollar valuations, some even have billions of dollars in revenue, but none started with anything greater than what would be considered a seed round. Most had far less. A large percentage of these startups raised money from VCs, but only after they had established the fact that their success would come with or without a wire transfer from an investor. Even now, many of them aren’t widely known — they are the invisible unicorns of the tech industry. So before scrambling to schedule meetings with investors, read these stories. They provide a counterbalance to the VC-centric outlook held by many founders and provide alternative ways to think about funding. Taking venture capital should be a choice, not a compulsion. These companies show the power of a countercultural approach to capital. The easiest way to build a useful product is to automate some part of your daily workflow which ensures you’ve got proven demand for your product and a pre-existing funding source. MailChimp: In the year 2000, co-founder/CEO Ben Chestnut was running a design consulting business and had a stream of clients who wanted email newsletters created. The only problem was that he hated designing them. So, to spare his team the tedium, he decided to build a tool that would streamline the process and MailChimp, a $400M business, was born. Lynda: In the late 1990s, Lynda Weinman was teaching web design, but the technical books she assigned to her class were bland, so she began producing training films for her students. She spent the next two decades building a content library and tech assets that had scale sufficient to entice Linkedin to pay $1.5 billion dollars to acquire the company. Instead of trying to compete with a company like Apple, these scrappy startups filled the gap left by RadioShack and built multi-million dollar businesses worthy of emulation. 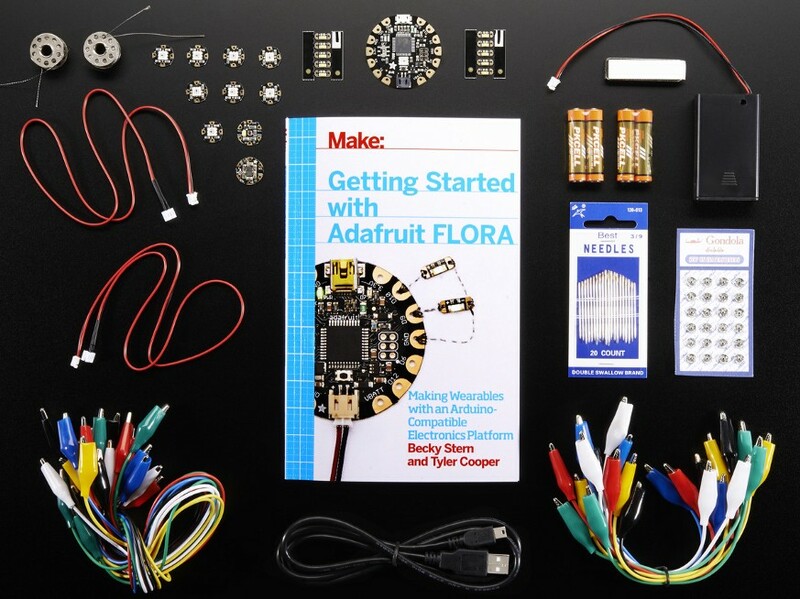 AdaFruit Industries: Limor Fried started her DIY electronics ecommerce empire as a student at MIT by assembling DIY kits comprised of off-the-shelf parts. Fried merchandised the same building blocks found at electronics stores but also crafted quirky content that made the prospect of soldering a replica Space Invaders cabinet seem reasonable. Now, she has 85 employees and earns $33 million per year. SparkFun: Similar to AdaFruit, Nathan Seidle started Sparkfun from his dorm room by selling electronics kits and oddball components to engineers who wanted to explore exotic new sensors and systems. Now, his ecommerce empire employs 150+ and has revenues of $32 million dollars per year. Solving an old problem with a new technology or UX layer can be enough to build a multi-billion dollar business. Shopify: Shopify’s founders were searching for a shopping cart solution when they were setting up an ecommerce site for snowboarders. Unable to find one, they decided to scratch their own itch and built a bespoke solution on the then red-hot Ruby on Rails framework. It turned out to be a perfect solution for plenty more people, and the founders ran the business independently for six years on the revenue they generated. They ultimately raised money from VCs and later IPOed, which rewarded them with a fourteen-billion dollar valuation. Braintree Payments: Exchanging money online, without being fleeced by fraudsters, is one of the oldest problems on the web. Braintree built a better tech solution to serve as a tollbooth for buyers and sellers and survived on the proceeds of those transactions for four years before raising $69 million in two rounds of venture capital which preceded an $800 million dollar acquisition. Many entrepreneurs waste their time “playing CEO,” crafting a strategy and drawing up a dream org chart for what their business might become. The best founders avoid daydreams and focus on what can be done using only the resources at their disposal. 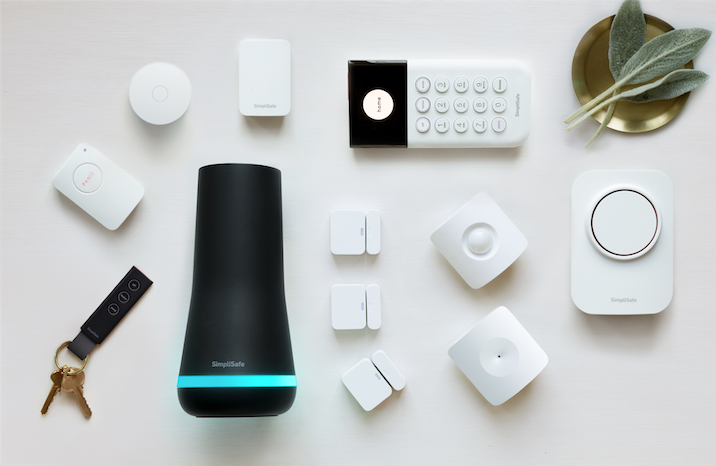 SimpliSafe: People scoff at the idea of trying to bootstrap a hardware business, but SimpliSafe’s Chad Laurans did it. He raised a small amount of money from friends and family and then spent eight years building a self-install security business, literally soldering the first prototypes himself to save money. Eight years later, the business has hundreds of thousands of customers, hundreds of millions in revenue, and $57M in VC from Sequoia. Ipsy: Birchbox pioneered the idea of sending sample boxes of cosmetics to potential customers, but YouTube star Michelle Phan leveraged her online celebrity — 8M+ YouTube subscribers — to turn it into a phenomenon. Her audience and relationships with cosmetics brands allowed her to build a subscription box startup that generated $150M in revenue before raising $100M in VC. ShutterStock: Jon Oringer was a professional software developer and an amateur photographer. He combined this set of skills and used 30,000 photos from his personal photo library to start a stock photo service that is currently worth $2 billion dollars. His capital efficiency paid off and ultimately turned him into a truly self-made billionaire. Quizlet: While not the biggest business on this list by any stretch, Quizlet is notable in that it was founded by a precocious 15-year-old who wanted to ace his French final. By the time Quizlet raised a Series A in 2012, it had a 22-year-old CEO, 40M users and was a top 50 website in the US. Skyscanner: The company started as a bespoke spreadsheet to help its founder find the best flight prices and has since become Edinburgh’s leading tech company with 500+ employees. The company got off the ground under its own power in 2001, raised $6M in 2007, and $192M in 2016, fifteen years after launching. Funding doesn’t always come millions of dollars at a time. Founders can scrape together money from grants, incubators, and angels, or even pre-sales. The savviest entrepreneurs design their business model so that they collect payment before they deliver their product, turning customers into a source of growth capital. CoolMiniOrNot: CoolMiniOrNot started out as a website where geeks could show off their ability to paint Dungeons & Dragons figurines. Eventually, the site’s founders decided to design and distribute games of their own; leveraging Kickstarter as a channel. They have run 21 Kickstarter campaigns which have raised $20,644,352 million dollars of non-dilutive funding. Game on. The Wirecutter: Who says blogging doesn’t pay? Founded by a former Gizmodo editor, the Wirecutter promised more thorough and fair-minded reviews, paired that with Amazon affiliate feed, and the self-funded startup was ultimately rewarded with a $30M exit. The best source of capital is often a customer and selling has two benefits. First, you make the cash register ring immediately. Second, You quickly learn what resonates with customers and can use those insights to refine your offering. 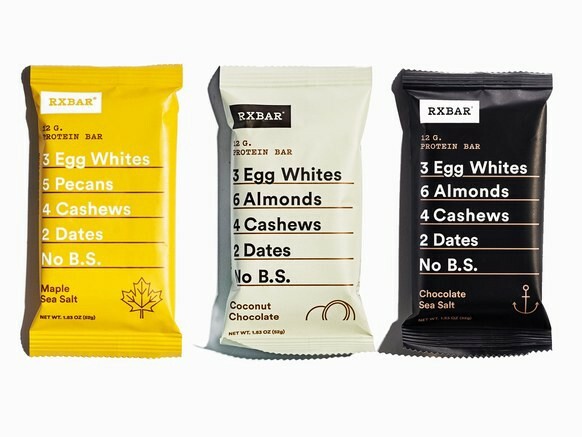 RXBar: When one of the entrepreneurs behind RXBar shared his ambitious business plan with his father, the paterfamilias told his founder son to stop theorizing and start pounding the pavement, “You need to shut up and sell 1,000 bars.” That advice, plus $10K in savings, proved to be worth $600M as Kellogg’s ended up gobbling up the startup. 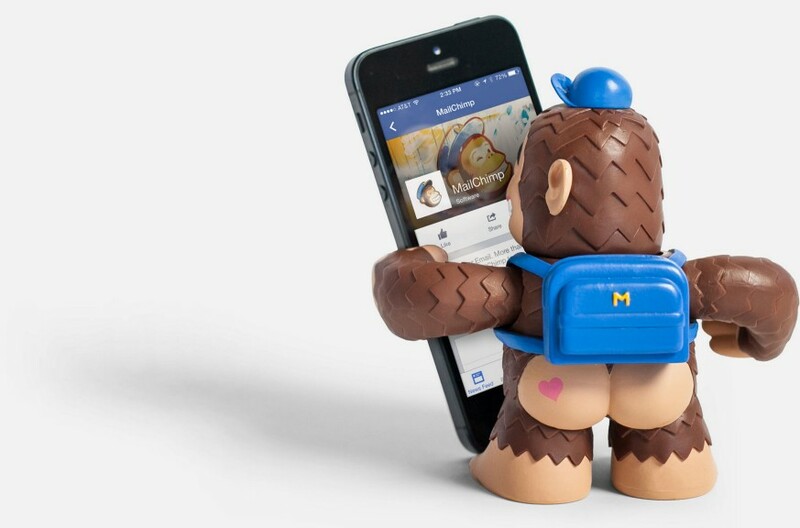 Scentsy: DNVBs are hip, but they are over-reliant on twee launch videos and Facebook ads to drive revenue. Scentsy sold candles at swap meets when they couldn’t afford to buy ads. It wasn’t glamorous, but it did give the founders a solid grounding on the messages that resonated with buyers — Now they have more than $545 million dollars a year in revenue. LootCrate: LootCrate had over 600,000 customers buying their pop culture sample packages and $100M in revenue before they raised institutional capital. Part of the reason they were so efficient is that the company started charging customers from its first weekend in existence. Klaviyo: The co-founders of Klaviyo agreed to postpone their first hire until they had a $1MM ARR. Thanks to keen product design and a tireless sales effort, the emerging email marketing platform quickly blew past that number but held off on raising capital for three years. Spanx: Shark Tank judge Sara Blakely is the most famous founder on this list, having turned a $5,000 investment into an Oprah-approved approved garment that generates $400M in revenue annually. Her fashion sense earned her a following, but her keen appreciation of the principles of capital efficiency earned Blakely a billionaire status. Tuft and Needle: Despite facing a competitor that raised 3,994,900% more capital, this mattress upstart has been able to grow to over $100M in sales using profits and just $6,000 in seed capital. Grammarly: Spell checkers have been bundled with Word and Google Docs for over a decade, but Grammarly made enough improvements that they could charge over 800 universities and hundreds of thousands of writers a monthly fee for the freedom from grammatical faux pas. After nearly ten years of spotting typos, the company took in a $110M Series A.
ButcherBox: In a world where boxed meal kit companies are struggling on the public market, ButcherBox, the leading ecommerce provider of grass-fed beef, has thrived, earning as much as a million dollars a week by skipping expensive ad channels and developing ongoing, capital efficient relationships with influencers. Cards Against Humanity: With just $15,700 in funding from Kickstarter, the Cards Against Humanity Team built a business that grossed over $12 million dollars in its first year. They’ve also sustained their brand with a series of canny marketing stunts, selling cow poop, cutting up a Picasso, digging a big hole representing the ennui of a post-Trump America, then selling Trump “bug out” bags, and simply asking for money. These promotions aren’t cheap to run, but they make enough money to defray costs while earning a disproportionate amount of free media. GoFundMe: Viral marketing is dismissed, rightfully, when it is tacked on to a business model, but it can be a powerful driver when properly integrated into a product. Paired with hyper-efficient Conversion Rate Optimization, it can be unbeatable. The founders of GoFundMe were able to use these twin forces to bootstrap a business to the point where it was valued at ~$600M. Startups are often measured by how much money they’ve raised, but it’s more important to consider how they spend. The best entrepreneurs orient their businesses around a technology or business model that is intrinsically more effective at multiplying capital. PaintNite: The idea of combining Monet and Merlot isn’t new, but the founders of PaintNite wanted to make the model more cost-effective. While their competitors relied on a slow, expensive franchise sales model, PaintNite paired art teachers with existing bars that wanted to sell wine on weekdays and created a business that did $30 million in revenue the year before it raised venture capital. Tough Mudder: Track & field entrepreneur Will Dean turned $7,000 in savings into a company with over $100 million dollars in annual revenue. The secret was pre-selling registrations to races and then using those funds as working capital to construct the electrified obstacle courses that have made Tough Mudder a global phenomenon. Technology is important and business models matter, but assembling a group of passionate users can create a moat that is more powerful than either. 37 Signals/Basecamp: The project management toolmaker doesn’t disclose revenue but founder Jason Fried has said the company generates “tens of millions of annual profits.” They were also one of the earliest voices championing capital efficiency and their “Bootstrapped, Profitable, and Proud” series is a must-read for anyone looking for tips on how to spend every dollar wisely. Mojang: The masons behind Minecraft never raised any venture capital, employed just 50 people, and earned nearly a billion dollars in profit before selling to Microsoft. The Swedish studio never got sucked into fads like Zynga-inspired social spamming and predatory microtransactions. Minecraft grew by charging users a flat fee, resulting in a $2.5 billion dollar acquisition. Behance: Scott Belsky bootstrapped creative community Behance for five years before raising $6.5 million from Union Square Ventures and ultimately being acquired for $150 million dollars. Thrillist: Founded in 2004, newsletter/trendsetter Thrillist was built email by email until the company raised $54 million dollars in 2015. Craigslist: Craigslist parlayed an early launch in the first dot-com boom into a durable long-term advantage. Despite having only 40 employees and not substantially updating the site for decades, Craigslist is the #17 most visited site in the US and is reported to generate hundreds of millions in profits. Plenty of Fish: The dating site was founded in 2003 and didn’t change functionality or aesthetics much over the following decade. As with Craigslist, Plenty of Fish’s biggest asset was its reputation as a well-stocked pond. Ultimately, the company ended up selling for $575 million dollars. Boring isn’t a value judgment. Many of the most impressive, successful companies that managed to grow without capital thrived by solving acute, if somewhat dull, problems and getting paid handsomely from the start. SurveyMonkey was founded in the dot-com bubble of the 90s, and though it wasn’t as disruptive as peers like Kosmo, it was more durable. It survived the dot-com crash and steadily grew into a nine-figure run rate, only raising $100 million 11 years after getting started. Protolabs does for plastic injection molding what Vistaprint does for business cards and is currently worth $1.2B. Cvent, worth $1.65B, builds event management tools and Textura, acquired for $663M, handles construction management — neither typically considered a hot or hip market. Grasshopper is a phone networking company that had 150,000 customers, over $30 million in annual revenue, but no VC on the books, and was eventually acquired by Citrix. eClinicalWorks was founded in 1999 when the mantra was “get big fast,” and many of its contemporaries crashed and burned. By focusing on excelling at the dull, yet profitable work of managing clinical data, the company survived and now employs over 4,000 workers and generates $320 million dollars in annual revenue. Zoho: 4,000 FTEs. 18M customers. $300M+ in revenue. Not bad for a bootstrapped startup taking on Oracle and Salesforce! Datto: Founded in 2007 by running up $80K in credit card debt, this data storage startup company is now valued at over a billion dollars and is the only unicorn based in Connecticut. InsideSales.com: Started in 2004 with a $10,000 investment, the AI service provider to internal sales team has grown to 570 FTEs. It waited eight years to raise its first $4M in 2012 and has raised over a quarter billion dollars to date. JetBrains: A Prague-based developer of the leading JAVA IDE and the Kotlin programming language has grown a list of 230,000 paying customers, signed up 431 of the Fortune 500, and employs 691 people — all without the benefit of venture capital. Unity became a backbone of the mobile gaming industry by focusing on all of the unsexy aspects of game development, like cross-platform compatibility and “bump mapping.” They went years without raising capital, but now have a valuation over $1.5B, and are more successful than the majority of branded game startups. Qualtrics started as a tool to administer surveys for schools and businesses in a basement in Utah and now employs 1,000 and rakes in $100 million dollars a year, profitably. Wistia: Corporate training videos are famously lifeless, the only thing that could be more boring is a startup dedicated to hosting them. Despite a dull as dishwater market, Wistia has managed to build an 80 person team that serves 300,000 customers including Starbucks, Cirque Du Soleil, and Casper. Putting off raising capital pays off in mind blowing ways. Wayfair: The home goods ecommerce company was profitable from its first month of operation and grew profitably for a decade until they ultimately raised a Series A — worth $165 million dollars — shortly before going public. The company is currently worth $6 billion dollars and because they suffered little dilution, the founders are worth a billion dollars each! Zip Recruiter: “We started out with humble ambitions, to bootstrap a lifestyle business,” said Co-founder/CEO Ian Siegel in an interview with Alex Konrad from Forbes. Those ambitions were met, superseded, and as the recruiting platform continued to grow the founders decided to raise a $63M series A to tackle more ambitious plans. Nerdwallet: The personal finance service that promises to help young people save money lived on a tight budget from the time it was founded in 2009 until it a raised $64M series A in 2015. The company earned a $500M valuation based on $100M+ in annual revenue, though it recently had to tighten its belt with a small layoff. A benefit of starting a business outside of a startup hub is that there isn’t much VC available. This may sound like a curse, but It can be a blessing in disguise. Unable to daydream about deploying capital, entrepreneurs are forced to make their paying customers happy. Atlassian: Atlassian, based in Australia, bootstrapped its way to a $13 billion dollar market cap, but if it had easier access to funding, the team might have chased low-quality growth and gone under before they figured out how to scale efficiently. Campaign Monitor: When a company’s first round of funding looks more like proceeds from an IPO, you know you’re dealing with efficient entrepreneurs. This is the case for Campaign Monitor, a Sydney-based startup who offers superior email analytics to companies like Disney, Coca-Cola, and Buzzfeed and whose first round of funding amounted to $250 million dollars. The Trade Desk: While he had a unique view of how to power the programmatic advertising industry, founder Jeff Green started The Trade Desk late in the funding cycle for modern AdTech. This overcapitalization of the market, combined with investors getting burned by bad performers made every round of funding a struggle throughout the life of the company. Green was a consummate startup CEO, who raised only $26.4M in venture capital during the company’s first six years, and turned it into a billion-dollar business traded on the NASDAQ. Disclosure: Founder Collective is an investor in The Trade Desk. AppLovin: It is shockingly common to hear founders talk about how they couldn’t sell investors on an idea that went on to become a billion-dollar business. Before selling his company for $1.4B, AppLovin founder Adam Foroughi said, “I couldn’t find anyone to give us an investment at what I thought was a reasonable starting point valuation (maybe $4 million or $5 million) and, by the end of our first year of operations, we were profitable and doing over $1 million a month in revenue.” The rest, as they say, is history. What’s astonishing is that these 50+ stories represent just a small sample of capital efficient companies. More companies fit this mold that we don’t spend as much time on because of their age or idiosyncrasy. Mathworks and Wolfram Research are impressive companies that employ thousands, but unless you’re a Field’s Medal winner, it’s hard to replicate their success. ESRI & Bose are capital efficient case studies, but stories that are almost 60 years old. Similarly, Autodesk, the leader in CAD technology, is currently worth $25B and was started with just $60K back in 1982. It is interesting to note that adjusted for inflation that $60K would be $150K, not far off the $120K Y Combinator invests in each of its companies today. Epic was founded by Judith Faulkner in 1979; the Wisconsin-based electronic medical records provider is one of the most significant bootstrapped software company operating today. Microsoft might be the most impressive bootstrapped startup of all time and has been well studied elsewhere. Valve, self-funded by founders who got rich in the early days of Microsoft’s success, benefitted from cheat code in the startup game that’s hard to share. Veeva isn’t technically bootstrapped, having raised $4M in its early days. Still, that sum is barely more than a seed round for a lot of startups these days. Likewise, CarGurus only raised a few million dollars and went on to become the best performing tech IPO of 2017 with a market cap hovering around $3B. Outcome Health has been racked by controversy over the last year, so I don’t want to hold them out as exemplars, but they did manage to bootstrap a business to hundreds of employees before raising a huge gob of venture capital. O’Reilly Media holds a legendary position in tech and has annual revenue north of $100M. They’re also affiliated with Indie.vc which maintains another great list of bootstrapped businesses. Then there is the matter of where you draw the line. Harvest has been profitable for over a decade with 50 employees, TextNow turned a little over a million dollars into a 75 employee company. If we included every company that fits this rubric the number of profiles would surely be in the hundreds, perhaps thousands! Startups used to figure stuff out and then ask for money. Today, they ask for money to figure things out. Outside of drug discovery or aeronautical hardware, this is usually the wrong decision. Making progress without resources is the best way to pique a VCs interest. It’s possible to get a tech-enabled business off the ground with no capital. It’s feasible to scale a tech business rapidly with very little capital. It’s often in the founder’s best interest to limit the amount of capital they take. If you know of other companies that self-funded their way to an extraordinary outcome, please let us know.